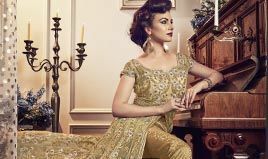 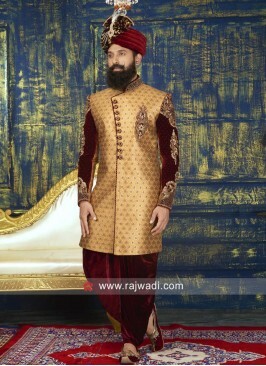 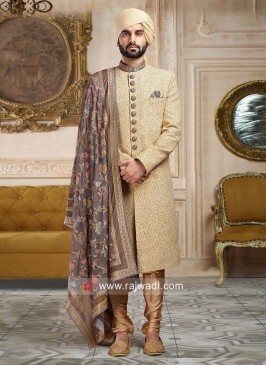 Ravishing golden color design jacquard sherwani with resham, zardozi, zari and cutdana work is sure to make you look your best. 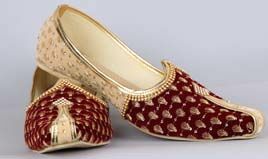 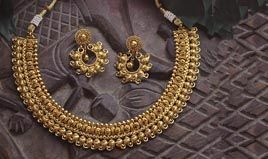 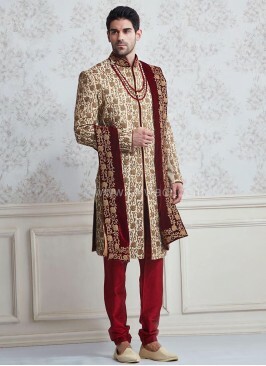 Comes with maroon color Bottom. 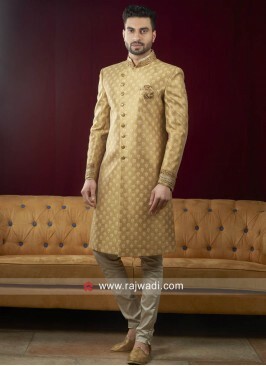 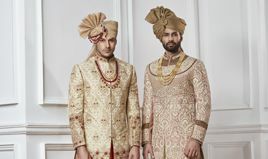 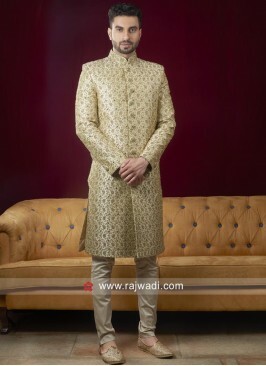 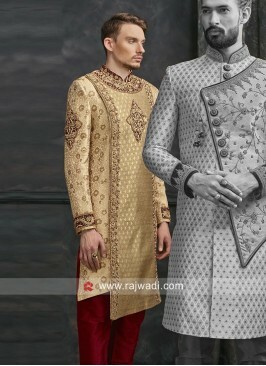 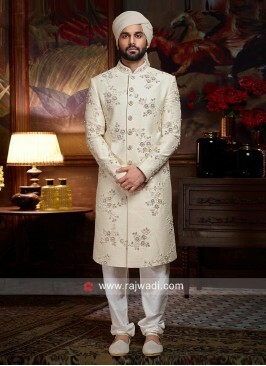 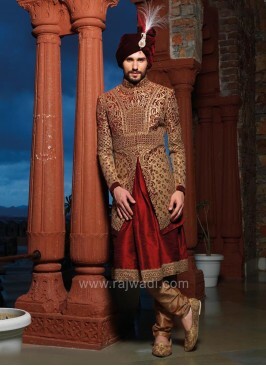 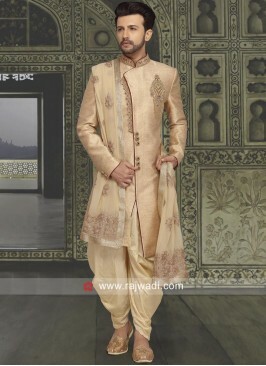 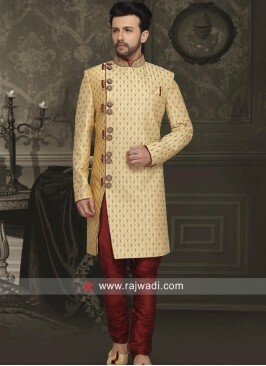 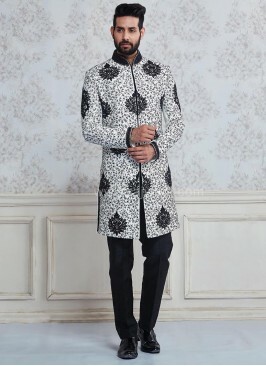 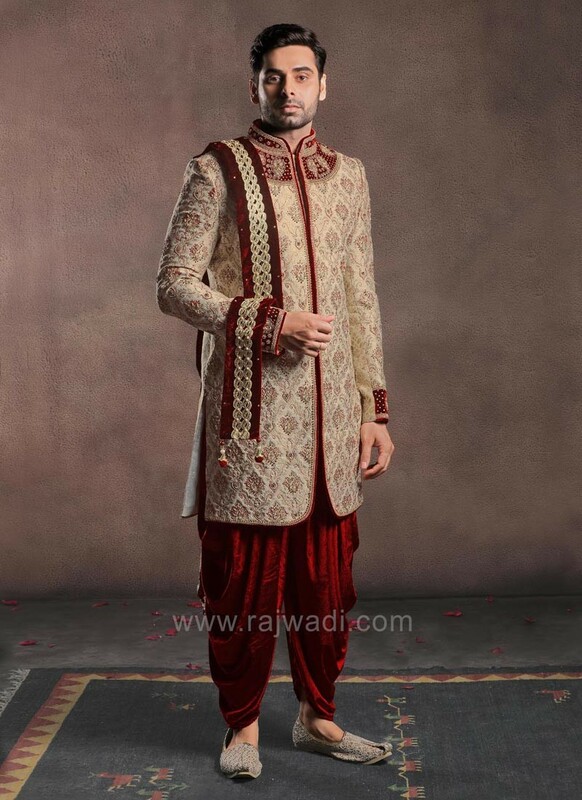 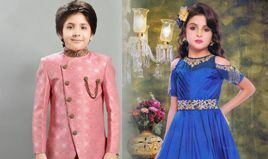 Dashing sherwani is ready to make you look more charming for your lifes special moments. 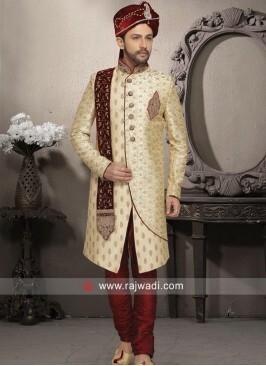 Pista Green Color Zari Wo.. 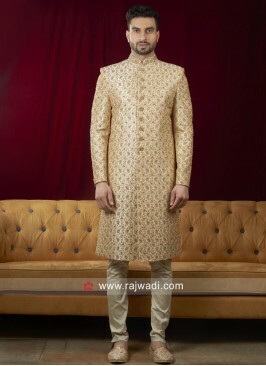 Cream Color Art Silk Sher..